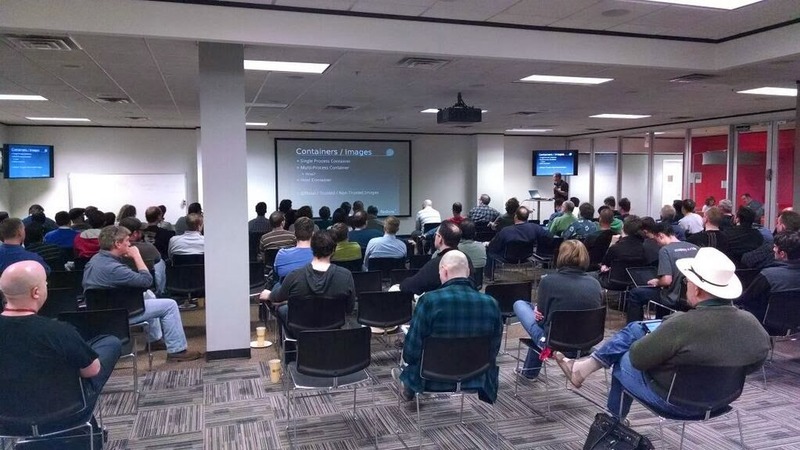 I had a great time presenting at the Austin Cloud meeting last night. There was a great turnout, probably ~ 125 or so people showed up. • Scott Collier to talk about docker files in fedora. • Ian Richardson to talk about Docker+Rundeck. • Nars Tadepali to talk about Docker usecases at Actian. • Aater Suleman to talk about Docker usecases at Flux7. • Paul Czarkowski to talk about Deis. We actually ran out of time. The slides I used are here: Fedora Dockerfiles. A new Docker meetup has been formed and I look forward to attending.